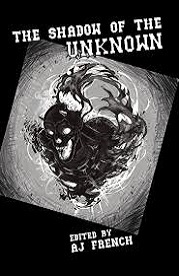 Purchase "The Shadow of the Unknown"
In the Old West, a newspaperman covering the building of the Transcontinental Railroad encounters a Lovecraftian entity. Deep with a mountain, a sleeping creature has awakened to threaten a weary tunneling crew. THE SHADOW OF THE UNKNOWN is a solid collection of Lovecraftian terrors. It has a nice wide range of styles and settings, with far more hits than misses, and a few real gems gleaming brightly to catch the eye. Fans of the Cthulhu Mythos or just weird fiction in general should give this one a read. Consider it well recommended.